Miyamoto Musashis Life is the subject of continual interest from martial artists, businessmen and the mainstream media. He is the subject of countless documentaries both Japanese and English language, TV series (live action and animated), movies, comic books and more. A remarkable martial artist, peerless, who developed a style of combat I am a student of, Hyoho Niten Ichi Ryu (Train with me here), author of one of the most influential books on strategy ever written, the Go Rin no Sho (Book of 5 Rings), and celebrated artist. Miyamoto Musashis Life, has literally become the stuff of legends, and in fact the myths surrounding his life, (many developed by the great Eiji Yoshikawa for his excellent fiction of Musashi's life) have since become accepted fact, repeated in the innumerable biographies and documentaries on the man. And the internet...well that's filled with even more erroneous 'history'. So where can you go to learn about Miyamoto Musashis Life? 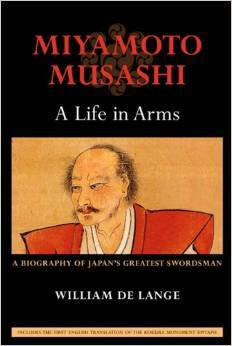 William de Langes Miyamoto Musashi: A Life in Arms is perhaps one of the most vital and important texts on the life of Miyamoto Musashi. In many aspects the book was a revelation. As a student of Hyoho Niten Ichi Ryu, (the art Musashi founded and developed) I try to read as much as I can about Musashi and have read many of major biographies - however many of these are as much a work of imagination and supposition as Eiji Yoshikawa's fictional masterpiece on Musashi - This is not the case in de Lange's work. Perhaps the most damning example of this is that Musashi fought against the Tokugawa during the battle of Sekigahara. The majority of English language books and documentary's (including National Geographic, Discovery etc) state that Musashi fought for the Western Army against the Tokugawa. 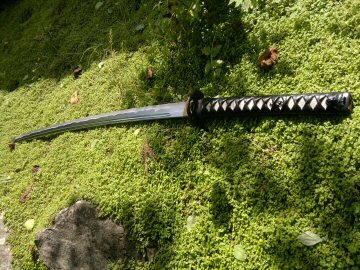 Thus, he could not find a position in a samurai house after Tokugawa won and remained a wandering swordsman all his life. This is not fact however; this is nothing more than key plot point from Yoshikawa's fiction of Musashi to give the character drama. It has sadly become part of the accepted history. By contrast de Lange asserts that Musashi was in fact not on the field of Sekigahara at all and was in actually, along with his father Muni, part of the attacking force of Kuroda Yoshitaka, a supporter of Tokugawa Ieyasu ,on the plains of Ishigaki. 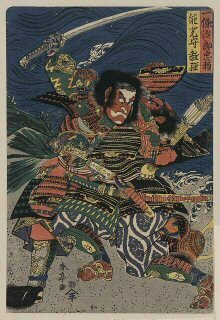 Musashi continued to fight and distinguish himself in the taking of several castles. This of course has a MAJOR impact on the every aspect of Musashi's life following - the fact that so many authors repeat fiction as though it was fact has led to enormous errors being made about Musashi's life. 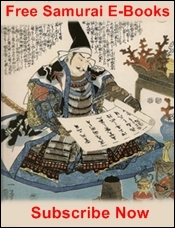 Unlike many other author's, rather than basing his account of Musashi on fiction and commonly accepted knowledge, William de Lange has spent a lifetime translating the original Japanese accounts of Musashi's life as written by the students of his school and those samurai houses with whom he found employment. In addition to this, de Lange has also sought the original military records of the campaigns Musashi was involved with and other supporting documents to provide, the first accurate assessment of Musashi's life in the English language. He directly quotes these sources on many occasions (such as text describing Musashi's valour in the siege of castles during Sekigahara campaign). While it is incredible to have tracked down the military records - one of the more shocking sources are the texts kept by the schools Musashi challenged. 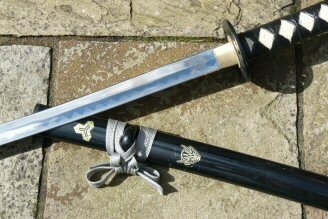 Many famous martial arts schools kept meticulous records and accounts of their illustrious histories (as much for marketing to local daimyo/lords as anything) - and of course notes were taken of particular combatants and challenges. It seems obvious to look for Musashi there, but honestly, I didn't think of it and it appears few others did till de Lange translated the entries. 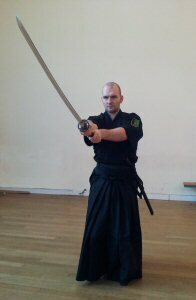 Of particular interest is the famous 3 part engagement Musashi had with the Yoshioka school. This confrontation where Musashi systematically destroyed the school has passed into legend and myth. Yet de Lange has done what no other English language author has done - gone to the source material and he directly references the records kept by the Yoshioka School and finds multiple points of confirmation for each aspect of the confrontations story. Within his account de Lange reveals the previous history between Musashi and the Yoshioka clan - going back to a duel between Musashi's father Muni and the head of the Yoshioka, the complex political implications of the contest, Musashi's motivations and of course the remarkable tactics Musashi used to end the school. This biography of Miyamoto Musashis life is continually supported with detailed notes, not only citing the Japanese language texts where possible but also providing background history, family connections and more that the biography more vivid in its depiction of the man whose legacy still reverberates today. William de Langes Miyamoto Musashi: A Life in Arms is a MUST read for the martial artist or anyone with an interest in such an impactful figure as Musashi. 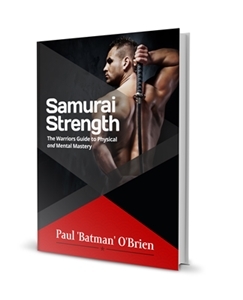 The book is filled with detailed facts, supported and continuously cross referenced by multiple sources. No where have I seen such detailed information in the English language on Muni, Musashi's father who would perhaps have the strongest influence on Miyamoto Musashis life, his battles, his daughter, the epic fight with Sasaki Kojiro and his other famous duels which serves to highlight and illuminate many aspects of Musashi's strategy.